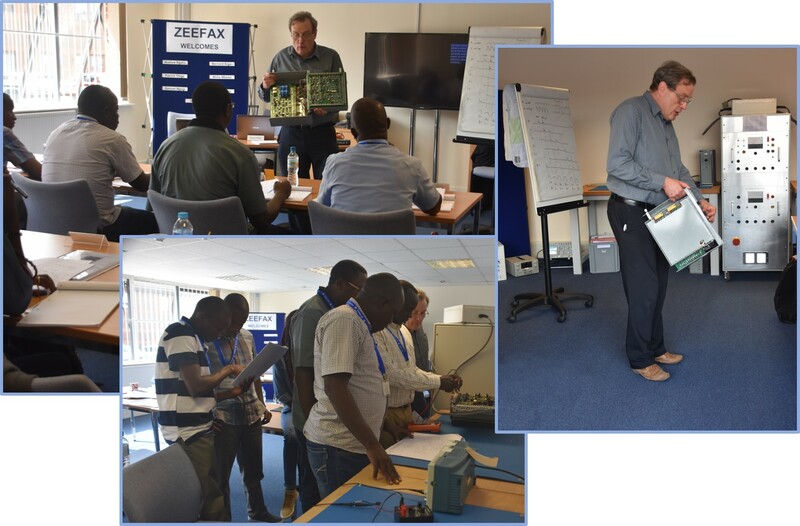 Zeefax provides comprehensive operational and technical training courses and materials, targeted at rig electricians and motor men, detailing all aspects of use and repair of SCR based motor controls and systems. Zeefax provides a range of courses covering SCR operation and maintenance and PLC programming and use. These courses are intended for rig electricians and maintenance persons who may have little knowledge of SCR systems, but they are also equally useful for experienced engineers who require an update to their knowledge and understanding of the technology. Each course can be can be individually tailored to suit the rig type and the level of expertise of the trainees, and topics covered include generator start-up and synchronising, SCR troubleshooting, power limit calibration, theory of operation, PLC controllers, electrical safety, using an oscilloscope for fault-finding. Training courses are usually held on our training centre, located in Bracknell, England, but can be conducted at your premises if facilities and resources permit. We provide two levels of training – for novice users and for more experienced users. Courses are tailored to suit the technical expertise of the attendees; a course for technicians with little or no knowledge of SCR systems covers many of the subjects that a more experienced engineer will attend, but in the latter case, subjects are covered in greater depth. Click here to view the SCR Training Course Program or the menu opposite to view a typical 4-day program. More and more SCR systems now use PLC controllers for logic control and diagnostics. Zeefax have a specially tailored course to introduce engineers and technicians to PLC controllers including fault finding, basic diagnostics and elementary programming. Training is based around the three most common makes of PLC used on rigs: Siemens, Allen-Bradley and GE Fanuc. PLC training courses can be conducted separately or as part of a general SCR course. Click here for more details, or the menu opposite.